Can We Help Rural Primary Schools to Do Better? 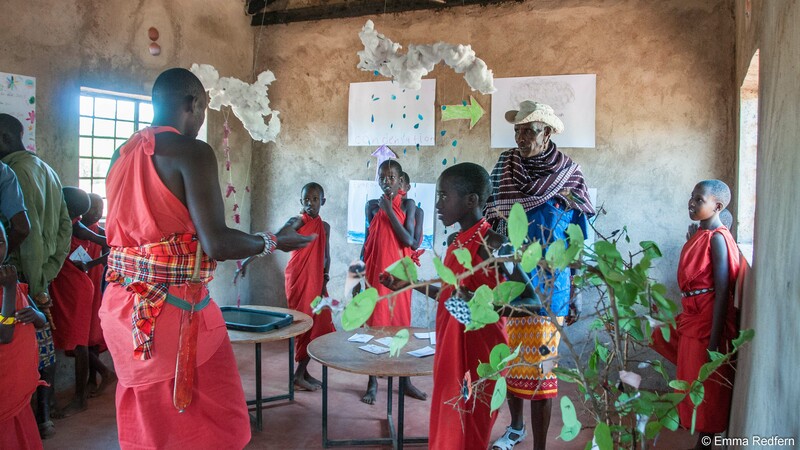 I have spent the last six weeks with two other people sharing knowledge and skills with the staff and students of Olng’arua Primary School, a remote school in Isiolo County. Like many primary schools in northern Kenya the school has young and untrained teachers with little experience outside their communities. The school operates on a meagre budget, the teachers don’t have access to computers or the internet to help them develop teaching skills and the school only has very basic equipment. With little experience of the world, or teaching, it is hard for these young teachers to come up with creative solutions to overcome the lack of resources. This seems to be especially the case in areas such as art and science. Using our experiences in education and in life we have tried to help the teachers develop ideas to compensate for the lack of equipment, to encourage them to experiment and, where necessary, to learn the subjects alongside their students. As well as helping to develop the ability of both students and staff in written and spoken English we were particularly concerned with finding practical and accessible solutions to the problems the teachers faced in art and science. We felt it was important to find ways of bringing art and creativity into many more of the school activities; that most lessons could have a creative element and that art projects could be more ambitious than just drawing pictures. By thinking about bringing some component of art into lessons it also helped the teachers to think more creatively about how they taught subjects, this added more variation to the lessons and resulted in the children enjoying their lessons a lot more. Science can be a difficult subject for teachers who themselves have very limited knowledge, especially when they have no teaching resources beyond a basic textbook. We looked at ways in which students could learn topics from observations of what was around them and from simple experiments. First the students had to learn to ask questions such as ‘why?’ or ‘how?’ Then, by following a trail of observational clues, the students (and sometimes the teachers) made discoveries about the world around them. Taking natural cycles as the theme groups of students explored the wild environment around the school for evidence of different types of life cycle. They investigated the life cycles of butterflies, frogs and toads, mammals, flowering plants and the water cycle. They were familiar with most of the things that they observed but putting these things into the context of a life cycle was a new idea. Many of the students didn’t know that some parts of certain cycles were even connected. For example many did not know that there was a connection between caterpillars and butterflies or that water evaporated from the ground (rivers, plants, earth etc.) and then condensed to form clouds and rain. By following the trail of observation (and by using a few simple experiments) they were able to convince themselves that these things were actually happening and connected. This also showed how much more compelling observational and experimental science can be compared to text books alone. At the end of the six weeks the staff and students used their new creative ideas to put up displays for each of the natural cycles they had been investigating. Then they invited the parents to come and see the displays and they explained the cycles to them. It was interesting afterwards to hear from the parents how much they had learned themselves from what the children had told them and to see how well these new ideas for teaching could also be fed into the school’s adult learning program. 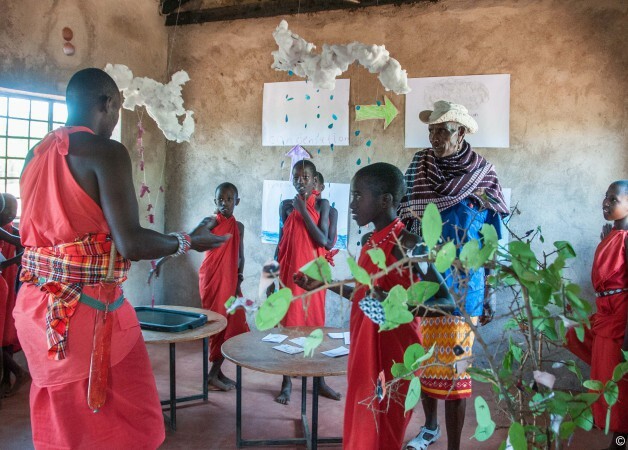 There is no doubt that one of the biggest problems for most schools in northern Kenya is the lack of funds, but the lack of knowledge, skills and new ideas is an equally constraining issue. Anybody who knows the north knows how common it is for children here to complete primary education without even attaining basic skills in reading, writing or numeracy. This is not just a funding issue it is also a teaching issue. We could, and should, do a lot more to support the teachers with whom we are entrusting the education of our children. After all, those children are our future. One Response to Can We Help Rural Primary Schools to Do Better?